Less than a year ago, Ashley and her daughter were spending each night in a different place and this young mother’s idea of having a home of her own was only a dream. Ashley then decided to seek help. Soon after a social worker introduced her to the Support Circles Program for Homeless Families (Support Circles), a Catholic Charities program which empowers participants to achieve realistic, long-term, career, housing and financial management objectives. Carolyn McClendon, assistant director for Support Circles, helped Ashley enroll in the program and set her on the path to achieving her goals. On January 31st, 2019, Ashley signed a lease for a rental house and moved in with her young daughter. Support Circles program director, Sharon Mitchell, was present with Ashely when she moved in. 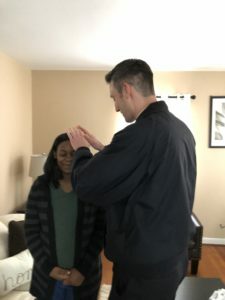 Participants in the Support Circles program are asked to pay one third of their income towards rent, while the remainder is subsidized by Catholic Charities, funds raised by the sponsoring Support Circles volunteers, and the City of Raleigh. The key to the success of the Support Circles program is the volunteer structure. Each participant is paired with a Support Circle of approximately ten volunteers from a single parish or faith group who provide support and mentorship for one year. For Ashley, it was a group of dedicated volunteers from Our Lady of Lourdes Church Catholic Church in Raleigh who helped make her transition possible. 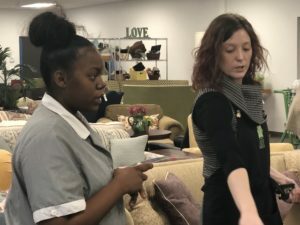 Support Circle volunteers continued to help Ashley after she found her home by connecting her with The Green Chair Project, a Wake County non-profit that provides donated home furnishings to families. Thanks to this supportive partnership, Ashley was able to select furniture for her new home and make the transition from being homeless to having secured, sustainable housing for her family. 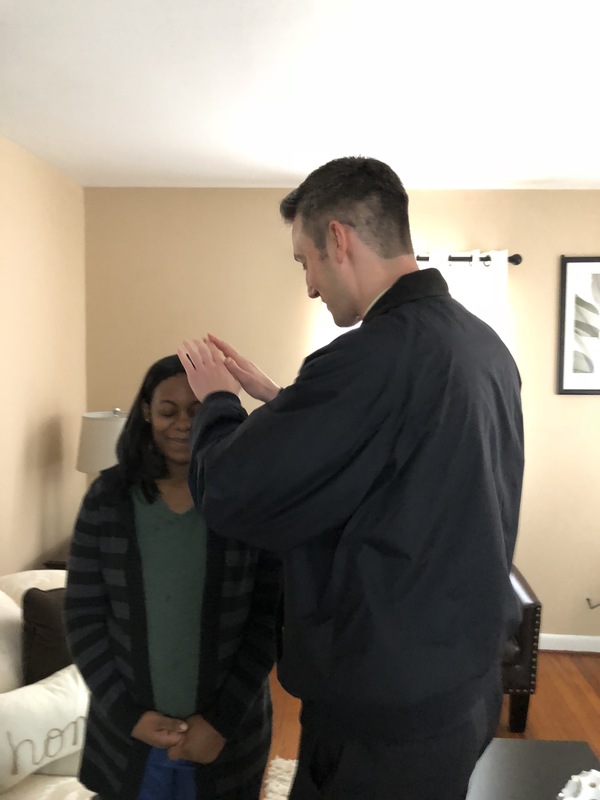 A few weeks after Ashley was settled into her house, she asked to have her new home blessed. Fr. Michael Schuetz, Associate Pastor at Our Lady of Lourdes visited and blessed Ashley’s home and her family’s new beginning. Thanks to the members of her Support Circle, Ashley recently passed her driver’s test. This will make her eligible to receive a car from Wheels 4 Hope who regularly partners with the Support Circle Program to provide transportation to help families improve their self-sufficiency. Last school year, Wake County Public Schools had nearly 4,000 homeless children enrolled. It is estimated that each night about 450 school-aged children are living in motels in Wake County because they have no place to call home. Last year, the Support Circle program, through our partnership with more than 20 faith communities and dozens of dedicated Support Circle volunteers, provided permanent housing for 53 children and 35 adults who had been living in cars, shelters, motels, etc. What is the Support Circles Program for Homeless Families? Support Circle Teams are the core of the program and are comprised of 8-10 volunteers that partner with individuals and families who are experiencing, or are at risk of, homelessness and who are seeking to transition into permanent housing. The program is a highly collaborative effort and part of the Raleigh / Wake 10-Year Plan to End Homelessness in Wake County. 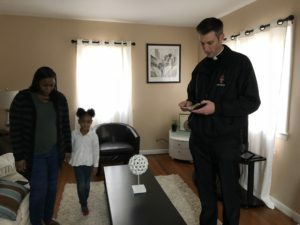 Catholic Charities coordinates the efforts of the faith community to help families living in Wake County homeless shelters transition to permanent housing.